Leadership is a complex phenomenon. Different theories approached the concept from different perspectives and used different parameters. Leadership is recognised when seen in the real world; leaders are admired and they are able to make a difference. Leadership is partly a natural capacity, and partly a learnable skill. Leaders grow out of need and through experience and exposure to real life situations. To get a good grasp of leadership, it is indispensible to develop a multi-dimensional view of the concept. The different dimensions of leadership are interconnected and strongly woven together that it is almost impossible to relate to leadership by only entertaining one view of it. Leadership requires a rich inner life and personal balance, which is the intrapersonal dimension of a leader. No leader could be successful without mastery of interpersonal skills; another dimension of leadership. Leaders function on a strategic level of conception and maintain a focus on long term results, seeing what could be there just as they see what is actually there; this is the third dimension. The fourth dimension of leadership is managerial elegance; nothing reduces the potential of a strategic outlook like lack of good managerial skills. 1.1 Does Leadership Really Matter? Scholars have adopted different perspectives on the effectiveness of leadership and how much it accounts for in organizational life. Cohen and March (1974) concluded that leadership is mythological in principle and argues that there is little leaders can do to influence organizational outcomes (cited in Nohria & Khurana, 2010, p. 8-9). The rationale here is that the enormity of the environment is far greater that any single human agency and all what organizations can do is simply to react to circumstances. On the other hand, Bennis (1959), Kotter (1988) and Hackman emphasise the vital force of leadership in organizational life (Nohria & Khurana, 2010, p. 9; Hackman, 2002). Leaders play a significant role in the success or failure of their organization as some research seems to prove (Gordon, 2001; Isakson & Tidd, 2006). Performance is influenced by leadership both directly and through choice of strategy. In the latter, leadership has its greatest influence on the general performance of an organization and is found to amount to about 35% difference. Leadership is hard to define, but you can tell when you see it; and although it is not easy to explain yet it can be demonstrated (Bennis, 1998; Pardey, 2007). This elusive nature is probably the root of widespread fascination about this concept known as leadership (Yukl, 2010). ‘Leadership is the process of influencing others to understand and agree about what needs to be done and how to do it, and the process of facilitating individual and collective efforts to accomplish shared objectives.’ (Yukl, 2010, p. 26). At the end of this paper I provide my personal take on the multi-faceted nature of leadership which I believe is one of the main reasons why there are many definitions and approaches to leadership. The amount of research conducted in the study of leadership is humongous. ‘As much as leadership has attracted great interest, it has also attracted vigorous debate, discussion and contestation’ (Glynn & DeJordy, 2010, p. 120). Despite the huge number of definitions given to the concept, there is little consensus among scholars concerning the models, theories and definitions of leadership. Below I explore a number of the main theories put forth as attempts to capture the essence of this phenomenon. At the root of this approach is the ‘assumption that leaders were somehow different and in possession of special, unique or extraordinary personality attributes, abilities, skills, or physical characteristics that others did not have’ (Glynn & DeJordy, 2010, p. 122). Proponents of this approach emphasize that managerial success is owed to the possession of such personal qualities; (Baum, 2007; Yukl, 2010). This is why theorists made it their main concern to identify such traits. Under different names such as: The Trait Theory (Yukl, 2010; Tushman et al, 2005), the Qualities Theory (Adair, 2005) and the “Great Man” theory (Glynn & DeJordy, 2010, p. 122), this approach was the first attempt to study leadership in scientific and academic terms. Early literature within this school is believed to have begun in the 1920s (Aitken & Higgs, 2010). Whether these qualities are learnable; this has become an issue of debate among early and more recent theorists. One view suggests ‘it is difficult to acquire qualities or virtues’ (Adair, 2005), Munshi et al say research has shown some traits are actually teachable (Munshi et al, 2005, p. 10). Stogdill (1974) identified a number of traits critical to leadership: dependability, cooperativeness, assertiveness, dominance, high energy, self-confidence, stress tolerance, responsibility, achievement orientation, adaptability, cleverness, persuasiveness, organizational and speaking abilities, and social skills (cited in Glynn & DeJordy, 2010, p. 122). In a research that extended over twenty years, Kouzes and Posner identified four traits which people look for and admire in a leader. These attributes are: being honest, forward-looking, inspiring and competent (Kouzes & Posner, 2007, p. 29). By the same token, Aitken & Higgs (2010) point out three key traits that research results support. These traits are: cognitive abilities, drive, and conscientiousness (Aitken & Higgs, 2010, p. 8). But the main question is: how accurate and efficient is this approach in predicting good leadership? On the one hand, ‘the research for definitive and universal leadership traits met with only limited success’ (Glynn & DeJordy, 2010, p. 122). On the other hand, Kouzes and Posner (2007) found strong links between leadership traits and core practices of successful leaders. This seems to explain, to a certain degree, the link between personal traits of leaders and their ability to get results (Kouzes & Posner, 2007, p. 31-32). ‘Behavioural theories focus on a leader’s style of action’ (Glynn & DeJordy, 2010). Actions or behaviours of leaders are sorted into two categories: consideration and initiation. The rationale behind this approach suggests that ‘leadership is not about personality; it’s about behaviour’ (Kouzes & Posner, 2007, p. 15). Consideration reflects the leader’s orientation to people issues such as interpersonal relationships and concern for followers. Initiation on the other hand reflects a focus on the achievement of goals and organizing structure (Glynn & DeJordy, 2010; Elkin, 2007). Although these two orientations set at opposite ends of the leaders’ behaviour continuum, each leader usually has a mix of both as Blake and Mouton’s (1964, 1978, 1985) Leadership Grid demonstrates (Sydänmaanlakka, 2003, p. 46). Research in this category proved that no universal set of leadership behaviour or style is universally effective. And this approach has actually relied on abstract concepts of leadership behaviour which made predicting effective behaviours unattainable (Glynn & DeJordy, 2010). These two points and others were enough to make scholars turn to other perspectives in their quest to attain a better grasp of leadership. Contingency theories were popular in the 1970s and 1980s. Theories under this group are most useful in the sense of explaining why the effect of leadership behaviour on outcome varies in different situations (Yukl, 2010; Lorsch, 2010, Glynn & DeJordy, 2010, p. 123). This theory attempted to explain how the situation moderates the relationship between a leader’s effectiveness and a trait measure called Least Preferred Coworker (LPC) (Yukl, 2010). According to Fiedler, the LPC score indicates a leader’s motive hierarchy; it points whether the leader is more people-oriented or task-oriented. The relationship between LPC score and leadership effectiveness is measured according to three aspects of any given situation: leader-member relations, position power, and task structure. These three form one variable called situational favourability. Although ‘[i]nterest in this theory has waned over the years’ (Yukl, 2010, p. 168) the very premise of this theory is always present in other modern theories. The path-goal theory of leadership was developed to explain how the behaviour of a leader influences the satisfaction and performance of subordinates (Yukl, 2010, p. 168) and thus motivate them to accomplish designated goals (Sydänmaanlakka, 2003). The basic principles of the path-goal theory draw on the expectancy theory of motivation (Yukl, 2010; Sydänmaanlakka, 2003). House (1971) proposes: ‘The motivational function of the leader consists of increasing personal payoffs to subordinates for work-goal attainment and making the path to these payoffs easier to travel by clarifying it, reducing roadblocks and pitfalls, and increasing the opportunities for personal satisfaction en route’ (cited in Yukl, 2010, p. 169). The path-goal theory suggests four leadership styles and predicts each is more effective than the others in different situations depending on the characteristics of the subordinates and the task. The four leadership styles are directive, supportive, participative and achievement-oriented (Yukl, 2010; Sydänmaanlakka, 2003). Developed by Hersey and Blanchard (1977) and proposes four types of leadership behaviours: telling, selling, participating and delegating. The level of subordinate maturity or readiness in relation to the task defines which type is most appropriate and thus likely to be productive (Yukl, 2010; Sydänmaanlakka, 2003). Evidence shows that transformational leadership leads to exceeding expected follower performance and, high levels of follower satisfaction and commitment to the organization (Yukl, 2010, p. 288; Bass & Riggio, 2006). Idealized Influence (II): in other words charisma. Inspirational Motivation (IM): Providing meaning and a compelling vision of the future. John W. Gardner described leaders as: ‘they can express the values that hold the society together. Most important, they can conceive and articulate goals that lift people out of their petty preoccupations… and unite them in pursuit of objectives worthy of their best efforts’ (cited in Bennis, 1998, p. 13). Intellectual Stimulation (IS): encouragement to being creative and trying new approaches; followers are included in the process of addressing problems and finding solutions. Individual Consideration (IC): Paying attention to each follower’s needs for growth and achievement; individual differences are recognized. (Bass and Riggio, 2006). The transformational leadership model has been under ample scrutiny and below we deal with two among the major conceptual weaknesses. A number of writers have posited issues about the transformational leadership model proposed by Bass (1985). Despite its popularity, a number of theoretical issues have been identified with this model (Rafferty and Griffin, 2004). Concerns have been raised regarding the way the dimensions or constructs of transformational leadership were defined, suggesting it was ambiguous (Yukl, 2010; Rafferty and Griffin, 2004). Task-oriented or instrumental aspects of leadership are overlooked in this model of transformational leadership (Yukl, 2010, p. 289). I adapted this section in order to maintain the anonymity of the people mentioned. A. said: ‘I grew as a leader out of necessity. When I was working as a teacher, I struggled against the administration. A great deal of injustice and impracticality was apparent and was pushing me out of my comfort zone. I always had a dream of being someone who changes the way things were.’ Leaders always stand out for their discontent with the status quo, and this is the source of their hunger to lead and change things (Brady and Woodward, 2005). This discontentment with the status quo creates a high state of urgency, which in turn generates the energy and stamina to start change and keep it going (Kotter, 1996). ‘I decided to take action. I quit my job and with the support of my family I started taking courses in self-development, entrepreneurship and leadership. The first couple of years were extremely difficult; I and my wife were dependent on my parents for everything.’ Bennis seems to capture this aspect of M. A.’s growth as a leader: ‘true leaders are not born, but made, and usually self made’ (Bennis, 1989, p. 42). ‘Before doing anything, I did an exhaustive research and learnt everything about it. I was searching for a wow idea. I realized I was a teacher by nature and I decided to establish this school that would transform education that had been presented in a very boring manner.’ Bennis also talks about this aspect of the journey towards becoming a leader and calls it: operating on instinct (Bennis, 1989). Daniel Goleman also emphasised the importance of following one’s gut or ‘inner rudder’ (Goleman, 1995; 1998). ‘In the teams I create, I give a great deal of autonomy since the vision gives a sense of direction and commitment. My vision appealed to the younger members of the society.’ This perfectly matches Kotter’s (1996) notion: The ‘shared sense of a desirable future can help motivate and coordinate the kinds of actions that create transformations’ (Kotter, 1996, p. 85). “To grow as a leader, I went into a phase of self-knowledge. The moment I decided to listen to the inner voice inside me and do what I really loved to do the way I wanted it, was the beginning of a new life to me. I learned to trust my judgment and gut feeling. I learnt about myself through personality and competency tests. After that I studied the world around me.” M. A. said. I can see a great similarity here with Bennis’s model on growing as a leader: know thyself, knowing the world, and operating on instinct (Bennis, 1989). ‘I know how to choose my team. I go for all-star individuals and get rid of those who are average or below.’ This follows what Jim Collins proposed: getting the right people on the bus and taking the wrong people off the bus (Collins, 2001). Although this seems particularly harsh by many critics, M. A. asserts it was important to make a difference. ‘I empower teams to act on their own and give them a great deal of autonomy. I find this very motivational.’ Actually, autonomy is one of the main motivators in rudimentary types of work (Pink, 2009). This style also conforms with one aspect of transformational leadership i.e. intellectual stimulation where freedom allows followers to creatively overcome obstacles in the way to achieving the shared vision (The Transformational Leadership report, 2007). S. was hired by a charity, The Islamic Centre xxxxxxx and was expected to perform religious services for the community. He found himself in the middle of a fierce war that had been around for a while. The Board of Directors was divided and a great deal of mistrust had permeated the scene. Unable to function properly due to the tense political atmosphere and frustration upon his inability to make a difference, M. S. decided to step in and take the initiative. He approached board members he could trust with a proposition to restructure the organization. His idea was to strip the Board of Directors from all social privileges, which were actually the main reason for the current situation and create a management team to run the day-to-day affairs of the organization. This was structural solution to eliminate personal confrontations and a great deal of embarrassment in handling such a sensitive issue. S. managed to create a guiding coalition who were inspired by his vision. Together they developed a vision for the organization and the community. As a result of three weeks of meetings, some obstinate board members accepted to resign with the condition of being appointed on the Senior Advisory Board (SAB), which in reality held no power whatsoever. Active volunteers were appointed as team leaders within the management team, and within two months the organization was functioning at full capacity making a huge difference in the lives of local people. S. owes his success to a number of factors. He believes his strongest asset was his sincerity. He felt bad should the organization function at low capacity while resources are wasted until personal disputes are settled. His use of structural solutions worked like a miracle. I personally noticed his strong presence and lovable charisma that has definitely won him people’s love and identification. His ability to follow members of the community and speak to each about their personal issues is obvious. Individualised attention is a natural ingredient in M. S.’s leadership style. He told me that the team leaders, appointed by him upon request of all parties, were given autonomy to come up with plans, solutions and projects. This intellectual stimulation brought forth indispensible hidden assets within the community. S. believes he is a natural leader who trusts his gut feelings. He connects with all at their respective intellectual and personality levels so naturally. His ability to articulate a compelling vision has rallied behind him the unanimous support of his community. However, M. S. admits that micro management and paper work are his fatal weakness. The only way he got over it was by getting the right people around him. This weakness was evident as there was no close follow up on the performance of the teams. This resulted in fairly poor results on the ground, but the general progress towards a more coherent community was magically making its first steps. I will be using transformational leadership theory and a number of teamwork theories to critically assess two leaders in organizations I worked with. T. is the regional manager of a xxxxx organization based in xxxxx, with its head office being in xxxxxxxx. T. has been in this position for the last seven years since the organization’s inception. In my personal assessment what kept him in this middle-upper management position is his ability to please the board of trustees and draw some tangible results with a very limited budget. On the surface, his style might sound efficient; however, it has negatively affected the long term standing of the organization. T. is neither a transformational nor a transactional leader. His style may be more accurately described by what Bass and Riggio (2006) call pseudo-transformational leadership. In terms of idealized influence, A. T. has pseudo charisma. At first he creates an appealing impression which he manages to sustain for a while. He comes across very nicely and gives an outstanding first impression. This is a matter of consensus among all staff in the Cairo office. Emotionally, A. T. is very engaging and he reads emotions well and responds skilfully to different emotional states. Although A .T. tries to inspire staff and volunteers by creating an appealing vision, his inconsistency and sometimes unethical manoeuvres have had detrimental effects. Staff members have learned not to take A. T. seriously when it comes to vision because often he behaves in ways that violate this vision. Intellectually stimulating workers is probably A. T.’s most apparent weakness. He usually leads in a monotonously directive style. Followers find his style de-motivating and feel their expertise is being undermined. Unfortunately, this has had a very negative impact on the quality of production in favour of quantity. With individualized influence, A. T.’s case is slightly confusing. He seems to take good consideration of each individual and know how to well address personal needs. However, things are not as they seem to be at a first glance. A. T. can skilfully recognize individual needs. He makes sure the person in question feels that way; which may be pleasing to start with. However, on the long run, a few among the channel’s employees expressed their frustration as they realize this consideration has been used as a tool for manipulating their good will. I can’t describe A. T. as a transactional leader either. The majority of workers at his organization feel underpaid and unappreciated. Contingent reward is used mainly to get employees and free lancers to do the work, but the reward i.e. payment or bonus comes either too late or doesn’t come at all. This strategy worked for some time at the beginning but it soon turned into a poisonous culture within the channel. Ironically, A. T. doesn’t hold people accountable for their mistakes either. Thus, management by exception is practiced on obscure basis and is mainly taken personal. The practicality of teams is explicitly diminished under such leadership. Teams are formed haphazardly. Incompatibility, role ambiguity, and as a result role overload are common among work teams. Team norms are left to creep in ambiguous ways and result in a great deal of conflicts among members. These norms are not allowed to be set naturally as the team finds its way forward. Interference from A. T or the board disturbs that harmony in its cradle. Due to that state teams mainly fail to reach the stages of performing or adjourning according to the five-stage model (Langton et al, 2007). One of the main problems teams face at xxxxx organization is lack of understanding of the bigger picture or the overall vision of their team and the channel in general. In conclusion, I think A. T. is a victim of an inconsistent and undisciplined board of directors and a difficult economic environment which makes some individuals do whatever it takes to keep the board happy in order to maintain their position. However, this does not acquit A. T. of unethically going about leading his subordinates and manipulating their needs. O. is the CEO of xxxx organization in xxxxxx, a charity that caters of the needs of the xxxxxx community in xxxxxxx. In terms of idealized influence, H. O. doesn’t really have the charisma or personal appeal of an outstanding leader. However, he is persistent, which gives him an ability to influence followers in the long run. He tries to come across nicely; however, it usually doesn’t feel natural. Personally, I think this is his main weakness. Although it is a short term one, H. O. has a clear vision of what he wants the organization to achieve. He has an amazing ability of defining goals and assigning tasks that clearly contribute to the attainment of those goals. Inspirational Motivation comes from the clarity of his goals. However, H. O. is not clear about the long term vision. He feels in this respect more of a manager who wants to keep things running successfully. When I asked him about where he sees their charity in ten years from now, he answered vaguely using terms such as: bigger, more successful, etc. O. is an expert at intellectual stimulation. At a first glance it may seem done out of laziness and busyness but it works very well for him. He mainly deals with the youth and they perform at a peak when he hands over tasks to them and challenges them to come up with creative solutions. He also grants a considerable amount of autonomy and freedom, which his followers seem to enjoy. O. cares from his heart for his followers. Coming from the same background and sharing the language and culture, it is more than a work relationship to him. It seems to me individualised consideration is part of his personal make up. This won him the loyalty and respect of his followers. When in a difficult situation, H. O.’s friends find him accessible and eager to help. He absolutely stands out in this point. This strength, I felt, makes up for his lack of charisma. Contingent reward is an integral part of H. O.’s leadership style. He always says: ‘Get money out of the way.’ His first priority is usually making sure that an appropriate reward is given immediately for good work. This is in line with Maslow’s theory of motivation which suggests that satisfying basic needs makes the person go up to a higher level of motivation (Mullins, 2005; Langton and Robbins, 2007). With a great deal of autonomy which he grants his followers, H. O. finds himself sometimes managing by exception and having to interfere when things go wrong, which is often the case. But this passive management style causes a great deal of delay and wastes a great deal of resources. Other weaknesses H. O. has are: his inability to assign the right mission to the right person, building inconsistent and incompatible teams and others. Teams formed by H. O. have enough resource and are given good insight into the overall vision. However, compatibility among team members is overlooked which results in constant conflicts among members. Members are not trained on good communication and good role distribution. H. O. does a very good job instilling certain norms into his teams; he is quite strict about his team charter, which he actually strictly decides on for all teams. Some teams end up in bad shape while others truly achieve outstanding performance. New leaders emerge and H. O. definitely learns from failure. H. O. admitted that shared leadership is rare in his teams. They either end up with one leader or dissolve after amble conflict among members fighting for more power. O. is still successful in what he does, however by working more on his strengths and hiring the right people who could potentially cover for his weaknesses he could become more successful. This piece of advice had been given to H. O. and he welcomed it. The more I read about leadership the more I gravitate towards viewing it as a multidimensional concept. Each of the above theories and others seem to describe leadership from one or more dimensions at the expense of overlooking others. Trying to discern these dimensions of leadership I found that it made full sense to me to group them as follows: These groups are not entirely exclusive; some facets of leadership are also multidimensional and are shared between more than one group. First: the Intrapersonal Dimension. Leadership starts from within the leader. Although their impact is evident on performance, most of the traits, practices, and behaviours of leaders have their roots deep into the inner life of these leaders. Dissatisfaction with the status quo, the desire to change things, the desire to lead, integrity, courage, charisma, orientation to action and others are the apparent side of a rich inner life which is deeply imbedded inside leaders who possess them. Behaviours and practices such as good communication, empowering followers, challenging assumptions, etc are also an extension of a much deeper cultivation of an inner life. Leaders are at peace with who they are and what they can be. They understand their own emotions and listen to their inner voice (Bennis, 1989). They are in total alignment with universal principles such as integrity, candour, justice, discipline to name a few and this harmony gives them the momentum, velocity and stamina to reach their lives’ full potential. Second: the Interpersonal Dimension. Outstanding communication skills, empathy and emotional and social intelligence, influence, inspiration, individualised attention, encouraging the heart, empowering followers and others form that dimension of leadership which describes the relationship between leaders and others and which contribute immensely to a leaders success. Leaders without followers are not leaders (Bennis, 1989; Pardey, 2007) which means interactions with others are an integral part of a leader’s mission. Lack of such skills and traits is a serious disadvantage leaders cannot afford. Transformational leadership (Bass and Riggio, 2006) and primal leadership (Goleman et al, 2004) theories are heavily rooted in this dimension. Third: The Strategic Dimension. The creation of a vision, the setting of goals, manoeuvres, partnerships, forming alliances, etc are at the core of a leader’s role. Since leadership is all about change (Pardey, 2007), this dimension explains a great deal of the leadership impact on the macro level of any organization. It may seem that this dimension is the river where all other dimensions, or streams for that matter, flow into. A notion I am more convinced of as I tend to see this dimension as the ultimate goal of all other dimensions of leadership. Forth: The Managerial Dimension. This dimension covers everything that is considered management such as making sure procedures are implemented, followers do their work, discipline and others. The dichotomous approach to leadership versus management is blown out of proportion. Leadership is about change, that is true; but no sure and positive change can be achieved without a certain degree of stability and routine within the organization. The solution to that dichotomy is a good level of synchronization and harmony so that the organization moves forward and achieves positive change with a reasonable state of stability and discipline. Effective leaders are also good managers (Pardey, 2007). 5.2 The Right Type of Leadership? Leadership is the interaction of these dimensions in a manner to produce optimum performance and results. Situational factors play a major role in defining the point of balance; so here situational and contingency theories come into play. 5.3 Leaders… Born or Made? Leadership scholars are still debating whether leaders are made or born (Nohria & Khurana, 2010 b). ‘[T]rue leaders are not born, but made, and usually self made’ (Bennis, 1989, p. 42). But how leaders make themselves, he says: ‘Developing character and vision is the way leaders invent themselves’ (Bennis, 1989, p. 42). ‘Leadership development may be one of the most important yet understudied areas in leadership research’ (Ibarra, Snook and Ramo, 2010, p. 674). In conclusion, leadership is a talent and a capacity and in order for it to reach full potential, it needs to be developed (McCall Jr. and Hollenbeck, 2007). McCall Jr. contends that ‘experience is essential in developing leadership’ even though leadership is largely a gift, he contends: ‘a gift must be developed and that development comes largely through experience’ (McCall Jr., 2010, p. 680). In fact, outstanding leaders could identify key events in their lives through which their leadership was shaped (McCall Jr. and Hollenbeck, 2007; Bennis, 1998; Friedman, 2008; Ibarra et al, 2010, Yukl, 2010; Pardey, 2007). Adair, John (2005), How to Grow Leaders: the seven key principles of effective leadership development, Kogan Page Limited, USA. Attwood M., Pedler M., Pritchard S. and Wilkinson D., 2003, Leading Change: A guide to whole systems working, The Policy Press, Bristol, UK. Bass B. M., Riggio R. E. (2006), Transformational Leadership, 2nd edition, Lawrence Erlbaum Associates, London. Bownman, E.H. & Helfat, C.E. (2001), Does Corporate Strategy Matter, Department of Management, The Wharton School, University of Pennsylvania, and (2001) Strategic Management Journal, 22: 1-23. Brady C., Woodward O. (2005), Launching a Leadership Revolution: mastering the five levels of influence, Business Plus, New York, USA. Burns, John S. (1996), Defining Leadership: can we see the forest for the trees? In the Journal of Leadership and Organizational Studies (1996; Vol. 3; 148), Sage Publications. Collins J. (2001), Good to Great: why some companies make the leap and others don’t, Random House, London, UK. Elkin, p., 2007, Mastering Business Planning and Strategy: the power and application of strategic thinking, Thorogood Publishing, London. Friedman S. D., 2008, Total Leadership: be a better leader, have a richer life, Harvard Business Press, Boston, Massachusetts. Glynn, M. A., DeJordy, R., (2010), Leadership Through an Organization Behaviour Lens: a look at the last half-century of research, published in Handbook of Leadership Theory and Practice (Nohria & Khurana, 2010) 119-157, Harvard Business Press. Goleman, Daniel, (1995), Emotional Intelligence: why it can matter more than IQ, Bantam Books. Goleman, Daniel, (1999), Working with Emotional Intelligence, Bloomsbury Publishing Plc London, UK. Goleman D., Boyatzia R., McKee, (2004), Primal Leadership: learning to lead with emotional intelligence, Harvard Business Press. Hackman J. R. (2002), Leading Teams: setting the stage for great performances, Harvard Business School, Boston, Massachusetts, USA. Ibarra H., Snook S., and Ramo L. G., 2010, Identity-Based Leader Development, published in Handbook of Leadership Theory and Practice (Nohria & Khurana, 2010) 657-678, Harvard Business Press. Isakson, S. G. & Tidd, J. (2006), Meeting the Innovation Challenge: leadership for transformation and growth, John Wiley & Sons Ltd, England. Langton N. and Robbins S. P., (2007), Organizational Behaviour: Concepts, controversies, applications (4th Canadian edition), Prentice Hall, Canada. McCall Jr. M. W., Hollenbeck G. P., 2007, Getting Leader Development Right: competence not competencies, published in The Practice of Leadership: developing the next generation of Leaders: 87-106, Jossey-Bass, San Francisco, California. McCall Jr. M. W., 2010, The Experience Conundrum, published in Handbook of Leadership Theory and Practice (Nohria & Khurana, 2010) 679-707, Harvard Business Press. Mullins L. J., (2005), Management and Organizational behaviour (7th edition), Prentice Hall, Harlow, Essex, UK. Padey D., 2007, Introducing Leadership, Elsevier Ltd, USA. Pink Daniel H., (2009), Drive: the surprising truth about what motivates us, Riverhead Books, New York, USA. Rafferty A. E., Griffin M. A., 2004, Dimensions of Transformational Leadership: conceptual and empirical extensions. The Leadership Quarterly 15 (2004): 329-354. Sydänmaanlakka, Pentti, 2003, Intelligent Leadership and Leadership Competencies: Developing a framework for intelligent organizations, Helsinki University of Technology). Lorsch, J., 2010, A Contingency Theory of Leadership, published in Handbook of Leadership Theory and Practice (Nohria & Khurana, 2010) 411-429, Harvard Business Press. Munshi, Natasha et al (2005), Leadership for Innovation, Advanced Institute of Management Research. Nohria, N., Khurana, R., (2010), Advancing Leadership Theory and Practice, published in Handbook of Leadership Theory and Practice, Harvard Business Press. 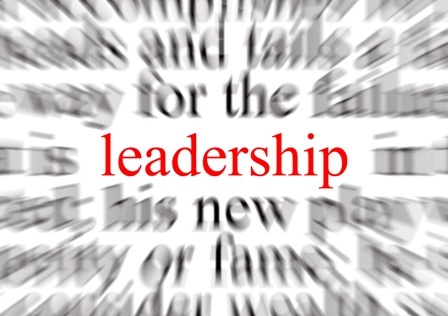 0 Responses on The Essence of Leadership: 3 Case studies in Da'wa Organizations"